I started this blog to write about defensive architecture targeting homeless and poor Victorians. This post is a detour, but walking around town it’s obvious that a great deal of energy has been expended on policing skateboarders. They’re banned from certain areas, and everywhere you look metal obstacles have been installed to prevent grinding on ledges, railings, and benches. These things are incredibly common in Victoria. Usually they take the form of metal clips wrapping around an edge, but metal balls and bolts, raised metal discs, and notches cut into a surface all have the same effect. The same techniques crop up on railings around town, as well as on some of the city’s benches. They appear outside businesses and on provincial and city property, too (check out some of the railings in Centennial Square). Despite targeting skateboarders specifically, new skate stoppers aren’t necessarily a response to skateboarding activity. The Tent City playground isn’t even open yet, and already the province has lined all of the ledges with metal clips to let future skateboarders know they’re not welcome in that space. Skate stoppers at the un-opened Tent City playground. 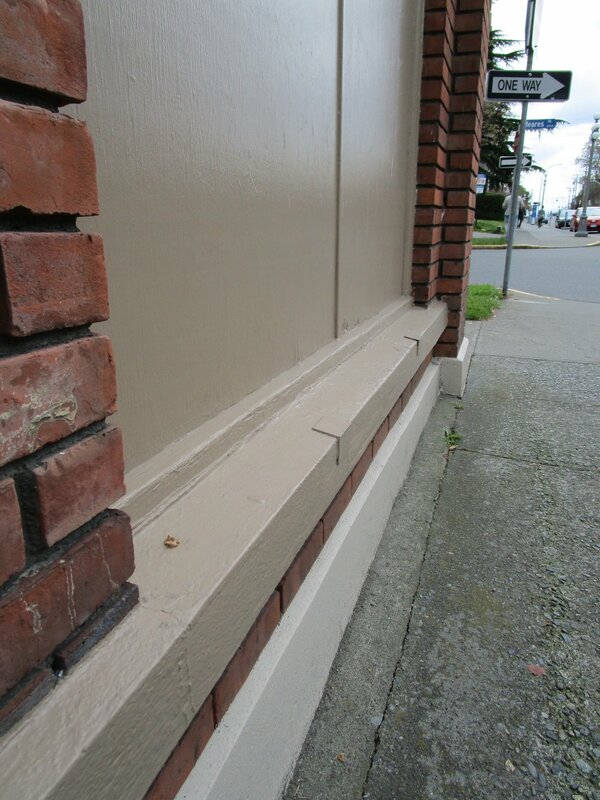 These metal clips aren’t just about protecting the city’s precious ledges. 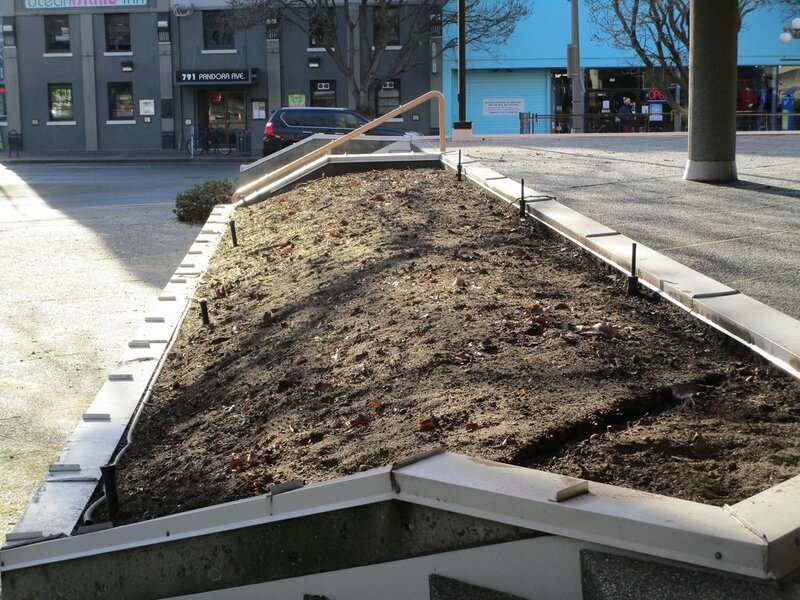 Victoria’s city council, police department, and its business community have a long, aggressive history of pushing skateboarders out of the downtown core. In the late 1980s, the Victoria Police Department acted on businesses’ complaints about “skateboarding youngsters” by having their undercover “strike force” confiscate boards. 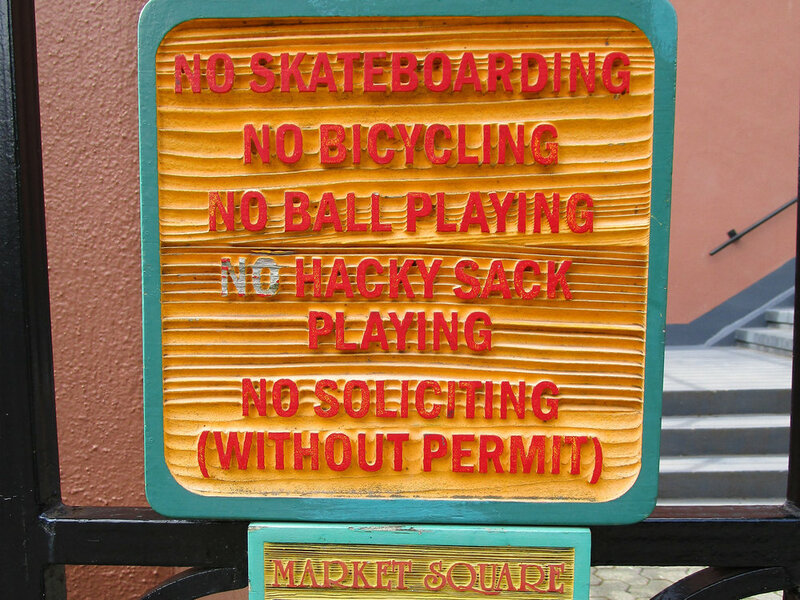 * A few years later, the Downtown Victoria Association said the majority of its members felt “skateboarding [was] a serious social problem and need[ed] to be dealt with.” City council responded by outlawing skateboarding in the downtown core, allowing bylaw officers to fine skateboarders and confiscate boards. These reactions were rooted in a “moral panic” about skateboarding “hooligans,” which the news coverage in Victoria happily played up. Trying to limit the use of public space by any group perceived as an ‘other’ – whether it’s skateboarders or homeless and poor people – is a common theme in Victoria. In the midst of the panic about “wheel-crazed youngsters,” the downtown McDonald’s hired “security and bouncers” at the suggestion of the Victoria Police Department to “discourag[e] punk rockers and skateboarders who gather in the restaurant.” If McDonald’s had bothered to turn on a radio, they might’ve been more understanding: Bryan Adams was topping the charts at the time, and I'm sure he turned more than a few young people to punk rock. Allegations that the bouncers were assaulting and harassing people were quickly reported in the media, and according to “several parents,” the bouncers “turned hoses on the teens to get them to move.” The city didn’t defend those actions, but the portrayal of skateboarders as loitering criminals was part of a broader narrative to justify pushing them out of Victoria’s downtown. Despite all of Victoria’s attempts to eliminate skateboarding, they couldn’t win. The city opened a skatepark in Vic West in the early 1990s in response to years of lobbying from the skateboarding community, and other Greater Victoria municipalities soon followed. The Times Colonist reported that people hoped the skateparks would decrease “petty and youth crime” by giving young people something to do. After years of treating skateboarders like garbage, the city had thrown up its hands and decided that anything would be better than having teenagers hang out in front of a McDonald’s. 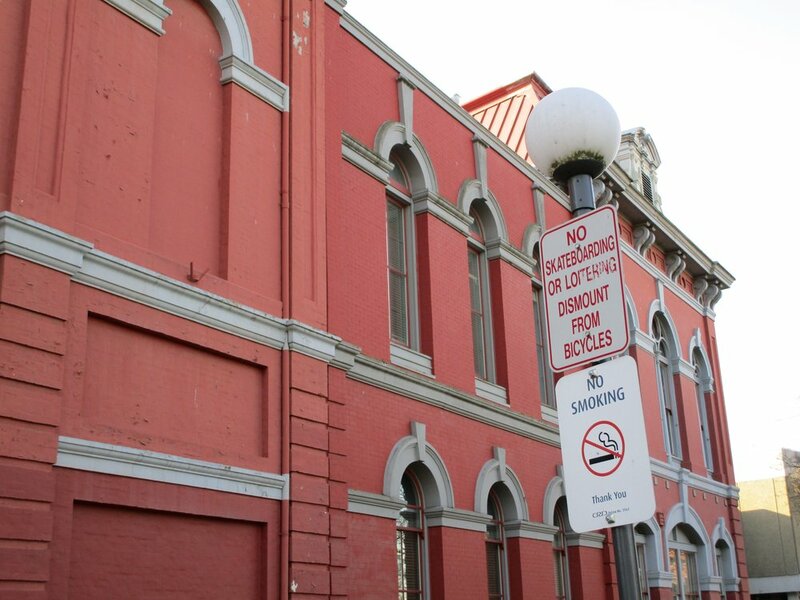 The downtown skateboarding ban was still on, though, and once the skateparks were built to quarantine the skaters, city staff debated ways to further police their activity. Sidney considered installing remote-controlled sprinklers “to discourage after-hours visitors”; Saanich voted on imposing a “curfew” for their park; and the Vic West park was subject to a curfew, police patrols, and sprinklers to stop graffiti and nighttime skating. 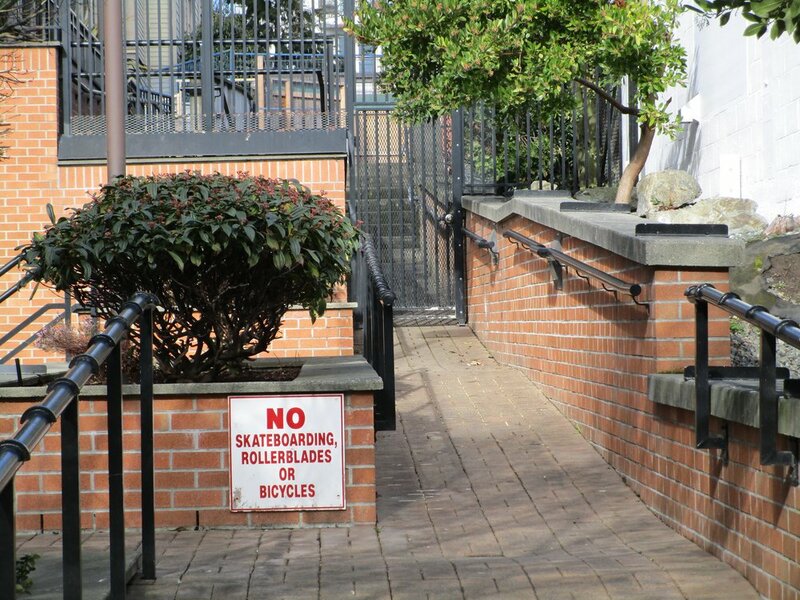 Skateboarding in Victoria was only okay when it was highly regulated and confined to specific areas. 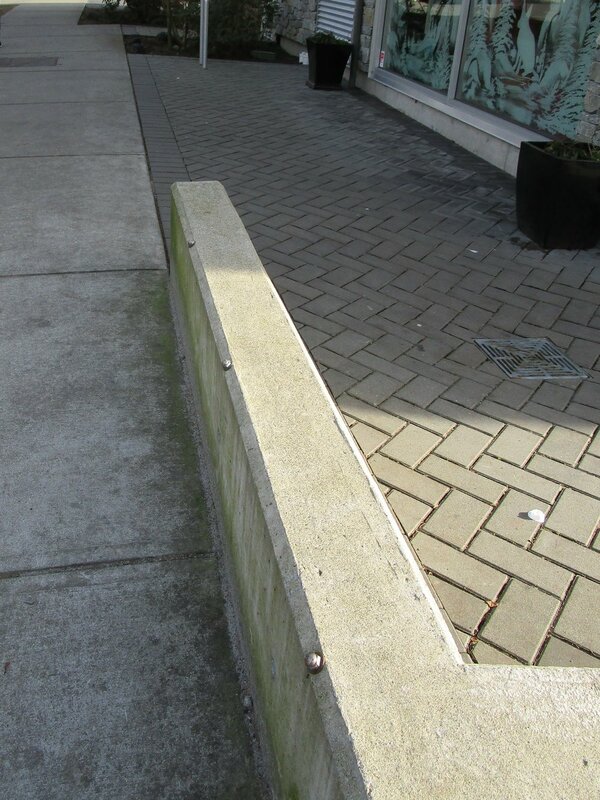 The anti-skateboarding defensive architecture found in Victoria today is a holdover from the skateboarding panic of the 80s and 90s. 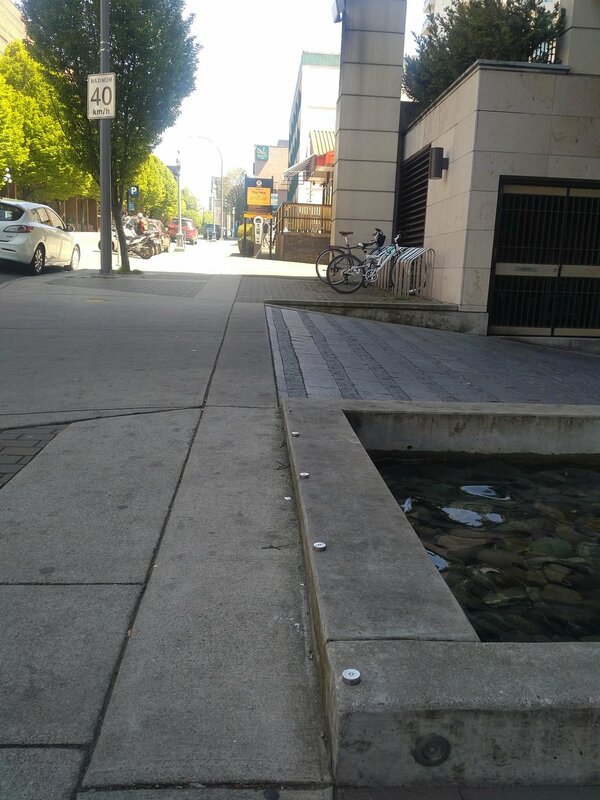 Despite the skateboarding ban, bylaw officers couldn’t be everywhere at once, so businesses, the city, and the province installed – and continue to install – metal clips and other deterrents to keep skateboarders from performing tricks, in the hopes that they’ll head over to the skatepark and leave the ledges alone. Smashing the state, one skate stopper at a time. *Newspaper articles were located using Canadian Newsstream. Sources included the Edmonton Journal, Globe and Mail, Times Colonist, Toronto Star, Vancouver Province, and the Vancouver Sun.